Finished top : 29" x 36.25"
from light grey to dark grey. 9" of each one. 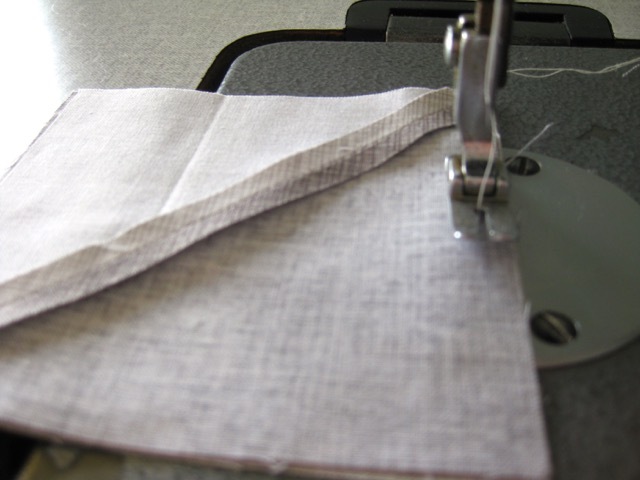 Fold your 9" fabric in 2 from seam to seam. Cut it in 2 lengthwise. 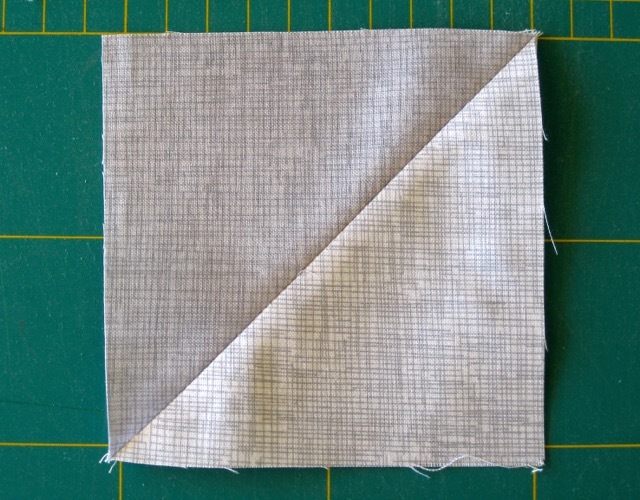 You obtain 2 strips of 4.50"width. 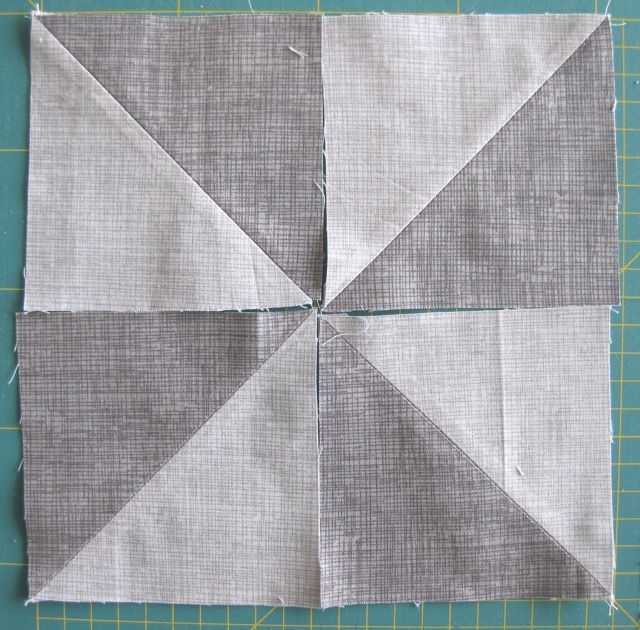 Put 4 strips over each other and cut squares of 4.50". 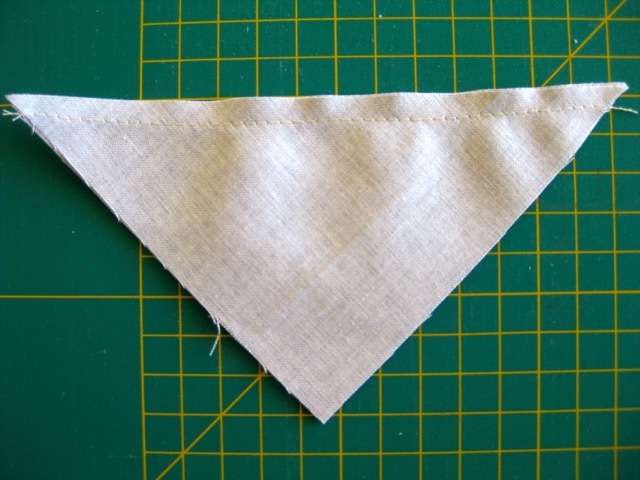 and sew them on the diagonal side. 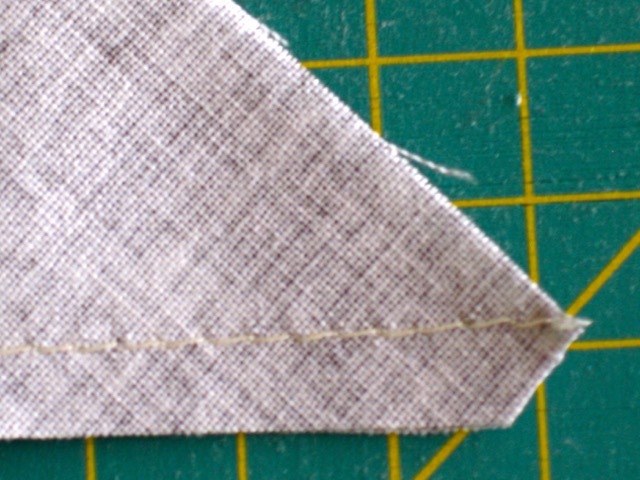 Trim the corners this way. Lay your 4 units this way. Press on the dark side (always). You obtain those 2 new units. 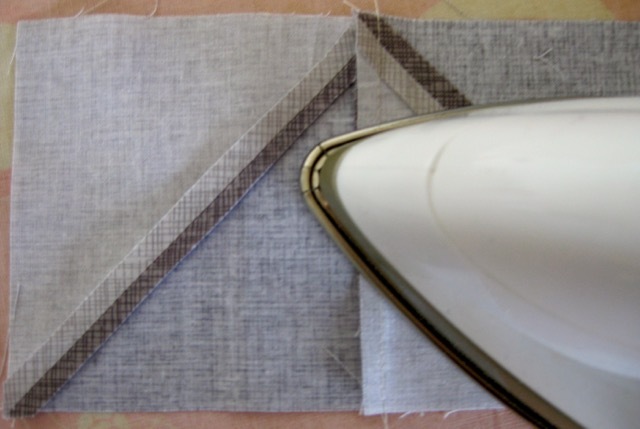 Sew them together and open press. 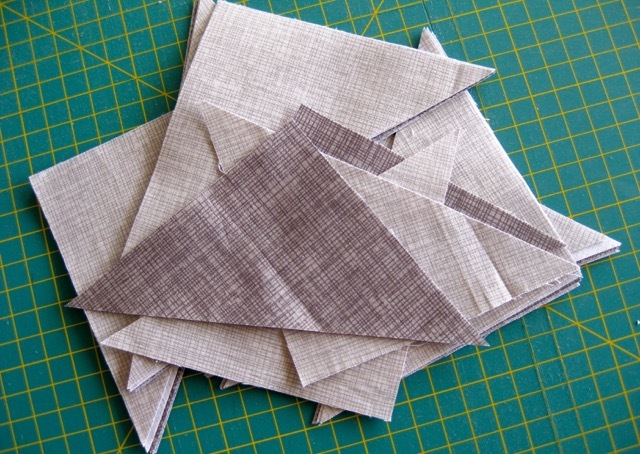 Sew four blocks together for your first row. Go on this way with the next 4 rows. 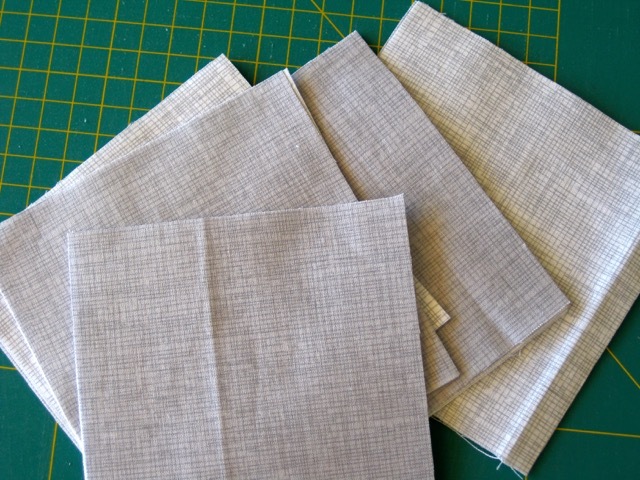 Last step : sew the 5 rows together. La seule chose que je ne fais pas contrairement à toi, c'est de repasser avant de coudre...mais je devrais !! Gros nisous et passe un très bon weekend Christine ! Very well taught Christine! 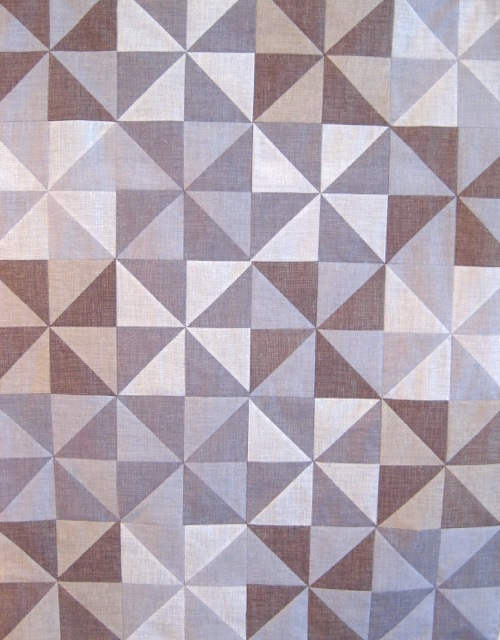 And that quilt is just gorgeous with its subtle shades and visual texture! 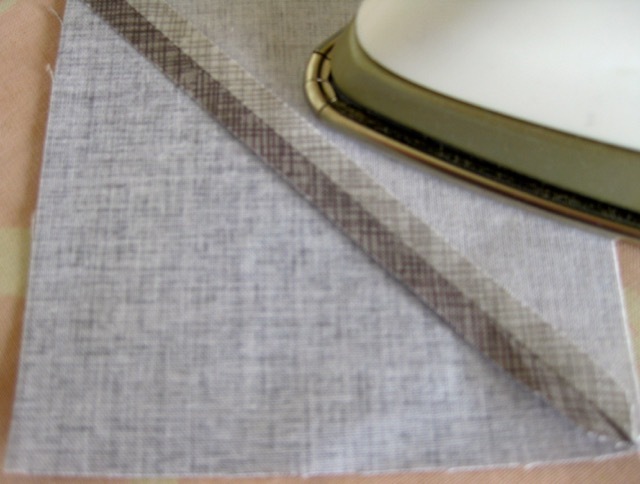 J'aime beaucoup vos couleurs, la répétition du motif, c'est dans la simplicité que l'on réalise souvent de très jolis ouvrages. Merci de nous faire partager vos tutos, votre blog. 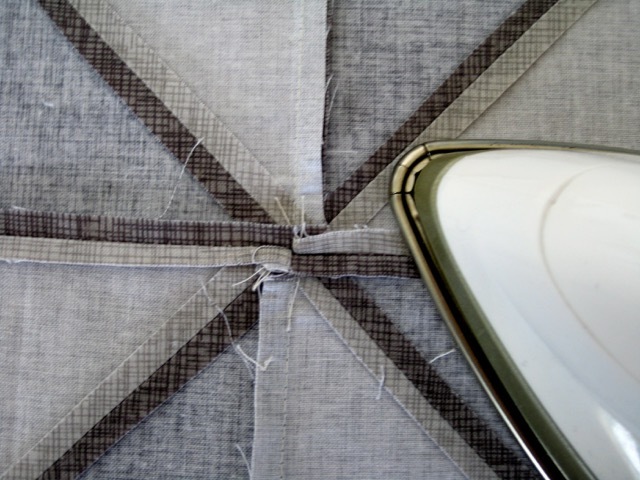 I wish my seams looked like yours!! This is so sweet. 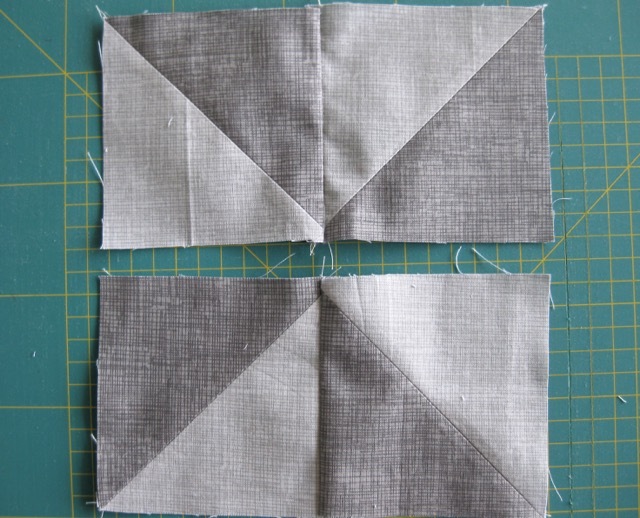 I love the shades of grey together in these blocks. Good choices and nice seams! Ce top est très subtil, c'est magnifique ! 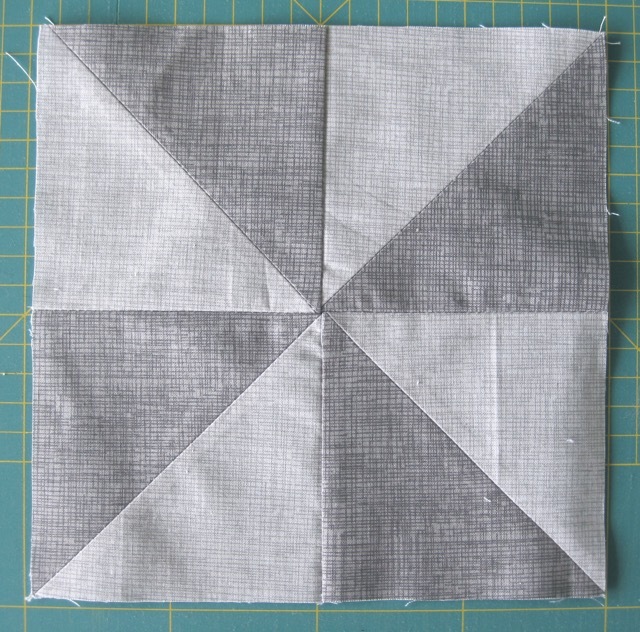 Excellent use of those gray fabrics -- the quilt is very soothing and I love the tone-on-tone textures for this windmill pattern. 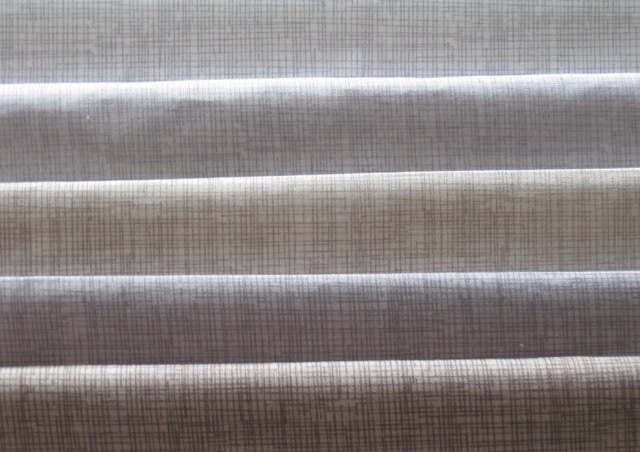 I love all the different shades of gray--so lovely and soothing. Great tutorial on the windmills. 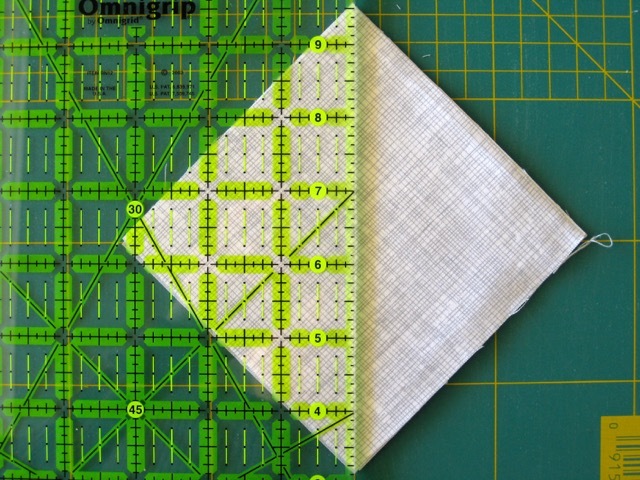 I really like that this quilt design and colors give me a calm feeling. 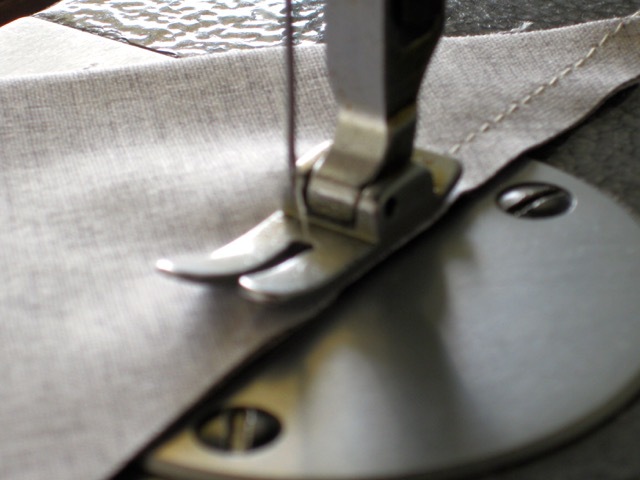 I want to thank you SEW much for your blog and the tutorials you take the time to post. I have never created a quilt before and always wanted to, but didn't have anyone who could help me. When I discovered my newest nephew was on the way, I wanted to try and make a quilt (because his daddy - my baby brother - always had a special "Ruggy Friend" and I knew it woukd be special for his son to have a "Ruggy Friend 2"). 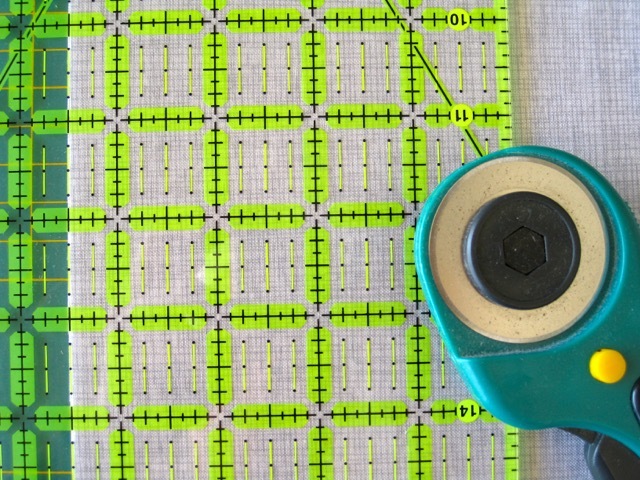 I struggled to decide on a pattern and then stumbled across your wonderful blog.